This August marks our sixth year of homeschooling. And while that’s nothing next to some of the 20+ year veterans who are still at it, I have learned a thing or two when it comes to buying homeschool curriculum. 1. It’s okay to buy used and sometimes not the most recent version of things. When we first started homeschooling, I wanted the newest and best of everything. It took me a couple of years to figure out that most homeschooling families take really good care of their school books so they can resell them later. This concept was totally new to me. I had been taking things that didn’t work for us, or I just didn’t like, to Half Priced Books and selling them there. I shudder to think of all the money I wasted buying new and selling to them. I’m a part of several online groups now, either through Yahoo or Facebook, where thousands of others buy/sell/swap their used curriculum. These groups often have things listed for upwards of 80% off the retail price. For example, I just just bought a used copy of Apologia’s Exploring Physical Science for $11 shipped. Eleven dollars!!! 2. Just because it worked for someone else doesn’t mean it will work for us. This is another lesson I learned the hard way. Instead of actually talking to my children and finding out what they wanted to learn. . . and how they learn . . . I spent a lot of time (and money) buying what had worked for my friends’ kids. If it works for them, it will work for us, right?? Wrong. The vast majority of what I bought in the first two years of our homeschooling didn’t work for us. My oldest son is a kinesthetic/auditory learner. It took me nearly three years to figure that out. My daughter (now 13) is the most avid reader I know. Why I thought she would enjoy workbooks is beyond me. I know it sounds simple and full of common sense, but no one told me, and for some reason the thought didn’t cross my mind for years! Talk to your kids! Get to know them and their learning styles. There are lots of free learning style tests out there, just Google it. And then you can check out Cathy Duffy’s list– which can be filtered by learning style. 3. It’s okay if something doesn’t work~ it is trial and error at first! In the early days I would get so mad at myself (and frustrated at the kids) when things didn’t work. Sometimes a book was too dry or complicated. Or maybe it just wasn’t compatible with a particular child’s learning style. Try not to beat yourself up if things don’t go as planned. Every homeschool mom I know has told me that it took them at least three years to really get things figured out. It took me four years before I was really confident in what we were doing. Homeschooling is about training children to be functional, responsible, God-honoring adults. It’s about bringing them up in the nurture and admonition of the Lord. It’s NOT about packing as much as we can into our days. Or comparing our children with others to see who has read the most books. Or who has skipped the most grades. Or who will have completed the most advanced math classes at early ages. It goes on and on and on. Homeschooling is NOT a race. I spent months getting upset because my children couldn’t make it through the 13 or 14 subjects I had given them. I was trying to recreate public school at home but with all the added “fun” subjects. Except, they weren’t fun. They were painful. Tears and breakdowns were common in those early days. I recently read Teaching from Rest. If you haven’t’ read it, you need to. Seriously. No matter where you are in your homeschooling career, you need to read this book. It will help you set so many things right. 5. I don’t need everything! There was a time when I thought that if something was new, I had to try it. If I found a new vendor that I hadn’t previously heard of, I just had to try something from them! There were several problems with this: 1. my husband doesn’t like me wasting money (which was the case most of the time), 2. my children don’t like me adding to their workload~ especially if it’s just so we can try it out, and 3. 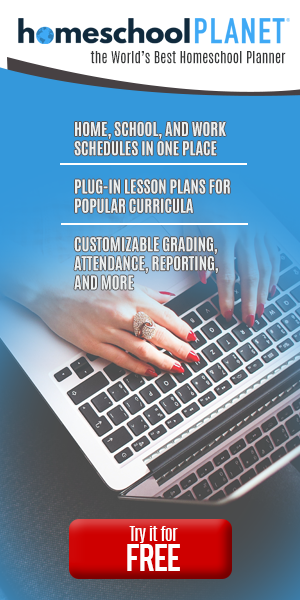 I would get frustrated at the amount of unfinished curriculum at the end of the year. So, what are my takeaways for buying homeschool curriculum? Talk to your kids and find out what they want to learn about and how they learn. If it doesn’t work, resell it. If it works, stick with it. Don’t trade it for something new and shiny. Have fun and enjoy your children. This season passes far too quickly! 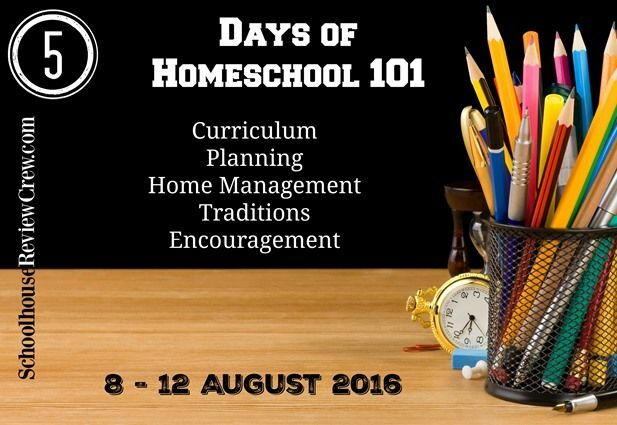 Some of my fellow Crewbies are also writing about their homeschools for the 5 Days of Homeschool 101 Blog Hop. Click below to read more awesome posts about getting started (and what we’ve learned!) with homeschooling. I especially like the advice that just because it worked for someone else doesn’t mean it will work for you!